Sony nailed it and Nintendo is missing out. I recently downloaded Vessel from the PlayStation Store since it was added to the instant collection from PlayStation Plus. As I sit here playing with my Fluros automatons, I have to say Nintendo is really missing out by not offering a similar service. It’s a shame because Nintendo could benefit from something like this with their backlog of classic, hard to find titles made readily available on the Virtual Console. I was suspicious about the PS+ subscription at first, but since I’ve had it, the instant game collection has become a major part of my gaming. If it weren’t for my PS+ subscription I wouldn’t have played Demon’s Souls, Hotline Miami, Sleeping Dogs, Double Dragon Neon, and many more. PS+ got me interested in a wider variety of games by allowing me to play them, essentially, risk free. The “freebies” were just the bait Sony needed to hook me and millions of others. On top of that, by tempting me with those instant collection offers it ensures that I will visit the store periodically and be exposed to what it has to offer, be it discounts for PS+ subscribers or general sales. For example, not too long ago I bought Final Fantasy IV, V, VII, VIII, and IX from the PlayStation store because they were all on sale, a sale I wouldn’t have noticed if I weren’t checking in on my periodic PS+ offerings. Nintendo does not currently have such a service. They have club Nintendo, but that can’t be compared. Club Nintendo essentially rewards customers with a monthly choice of a game IF they accumulate enough coins through purchasing Nintendo products. 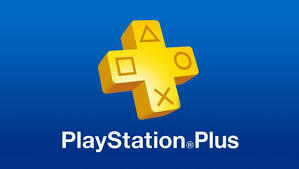 PS+ is Sony providing content in exchange for a small subscription fee. It’s quite different and much better at enticing customers to shell out more cash. Nintendo certainly has the tools to pull off subscription based content. For example, a $7.99 monthly subscription allowing users to download monthly offerings from Nintendo, enhanced coins given by Club Nintendo for eShop purchases, and exclusive discounts on the pricier titles, or possibly a Netflix model of access to the virtual console titles. Nintendo is missing out big by not taking advantage of the PlayStation Plus success. They have the advantage of rose tinted nostalgia goggles sitting there, but they refuse to use them to their fullest extent. Since the Wii U’s struggles began, the company has become more generous towards its customers and more in touch with its fans, as evidenced by the amazing E3 showing. Hopefully this new found awareness of gamers’ desires will allow them to catch up to Sony and offer a great subscription based service in the near future.